Image Copyright 2011 Robert OToole / Robert OToole Photography. I have been using WD Passport drives for my business for ages, I can remember when they were only 60 GB in capacity and cost over $250. So I was shocked when I came across a pallet of new 1TB USB 3.0 versions at my local Costco for only $89. This is one of those must have pieces of gear for nature photographers and the Western Digital My Passports continue to be the best out there. For my trip to Alaska later this week to lead my annual brown bear workshops I will be bringing 2 of these 1TB drives with me. These drives are about 4 x 3 x .7 inches and come in a glossy black and my favorites, the fine matte finished versions in silver, blue, and red. The drive has a clean rounded design and only one connector port. Make sure you look for a dealer like Costco that includes a free case. The cases cost about $10 if you have to buy them separately. The good news is that they are fast as advertised, transferring files back and forth to my laptop I was able to get about 3x faster transfer rates than a 2.0 drive WD Passport USB. This drive uses a USB 3.0/2.0 connection which is also called Super Speed USB that will work with both USB 3.0 or 2.0 computers. The cable supplied has a USB 3.0/2.0 make connector on one side and the USB 3.0 Micro B plug on the other. These cables are available from cable supply outlets. 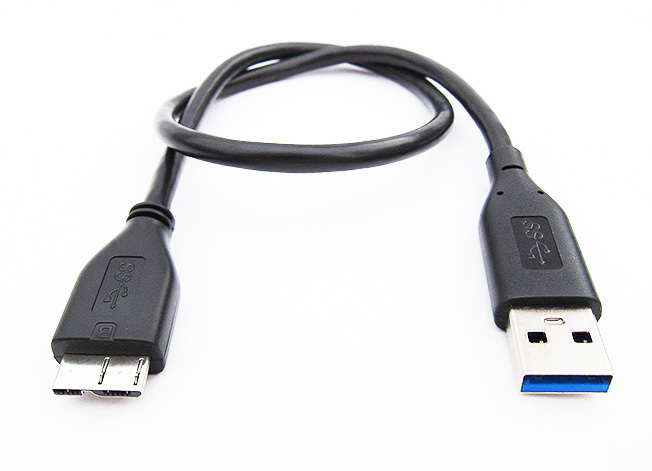 You can distinguish a USB 3.0 cable by the blue colored insert in the computer side connector and the Super Speed label. What if you don't have USB 3.0 or use a Mac? I would still pick up a couple of them since they are future proof and are still great value even working at USB 2.0 speeds. This is an awesome device, Western Digital's best so far and at a full terabyte and an great value for such a reasonable price.